Navigation, Leather Seats, Heated Seats, Premium Sound Package, Rear View Camera! This lapiz blue met hatchback has a manual transmission and is powered by a 288HP 2.0L 4 Cylinder Engine. 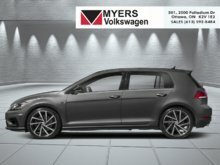 Our Golf R's trim level is 5-door Manual. 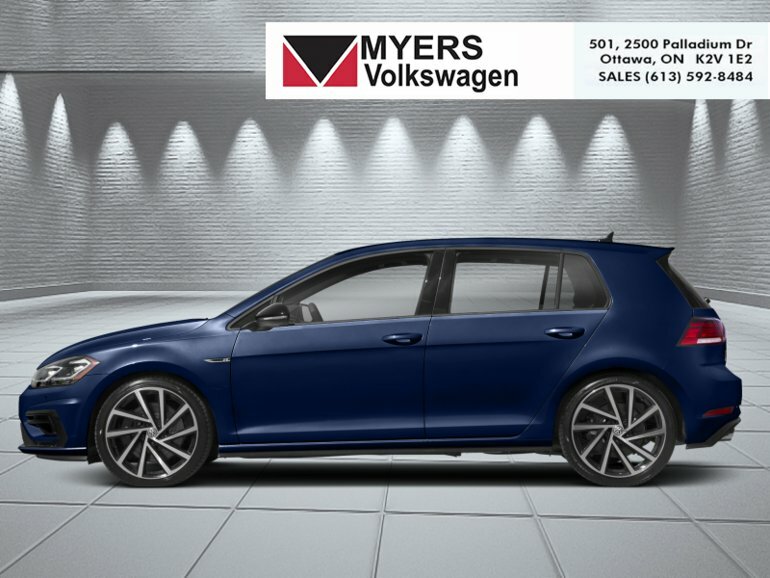 Arguably one of the best performers among the compacts, this Volkswagen Golf R is a true thoroughbred sports car. Options and features include a 288 horsepower engine paired to a 6 speed manual transmission, driver ride control sport tuned adaptive suspension, elegant performance alloy wheels, LED brake lights, fully automatic LED headlamps, a premium Fender stereo with 8 speakers and a sub-woofer, an 8 inch display with navigation and proximity sensor, voice controlled multimedia, SiriusXM satellite radio, App-Connect smartphone integration, Bluetooth, heated front power seats, a sport leather steering wheel, proximity keyless entry and push button start, cruise control, power fuel release, dual zone front automatic air conditioning, Vienna leather seat trim, a rear view camera and much more. 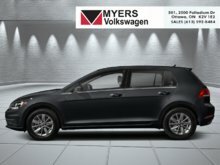 This vehicle has been upgraded with the following features: Navigation, Leather Seats, Heated Seats, Premium Sound Package, Rear View Camera, Bluetooth, Siriusxm. This is a demonstrator vehicle driven by a member of our staff and has just 8000 kms. 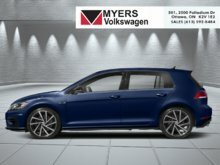 Ce véhicule, Volkswagen Golf R 5-door Manual - Navigation 2019 vous intéresse?